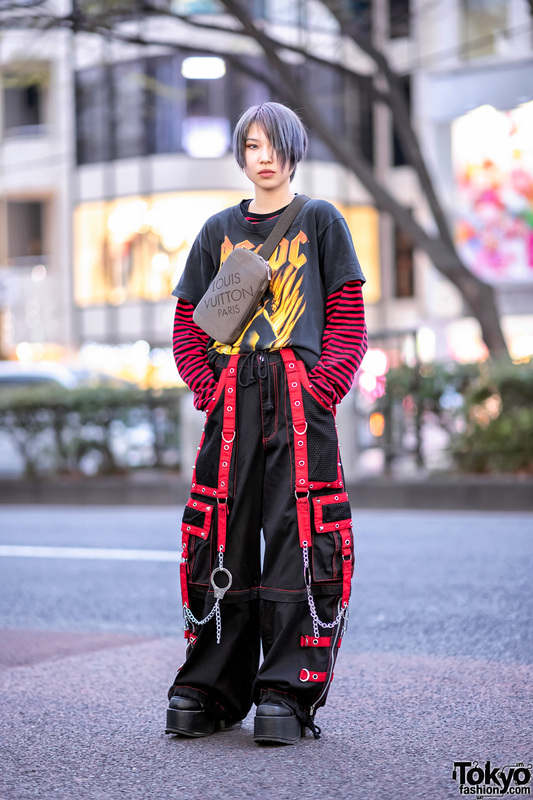 Ryosuke Igawa is a 17-year-old model and student who we often see and feature on our Harajuku street snaps. 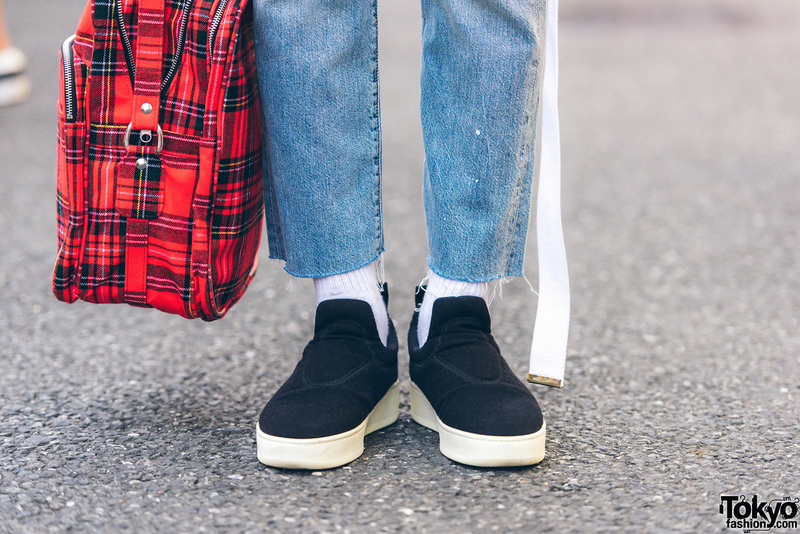 Today, Ryosuke’s ensemble consists of an oversized Vivienne Westwood shirt over a printed Stussy long sleeve shirt, ripped jeans from Levi’s, black loafers from Celine, and a plaid messenger bag from Comme des Garcons. 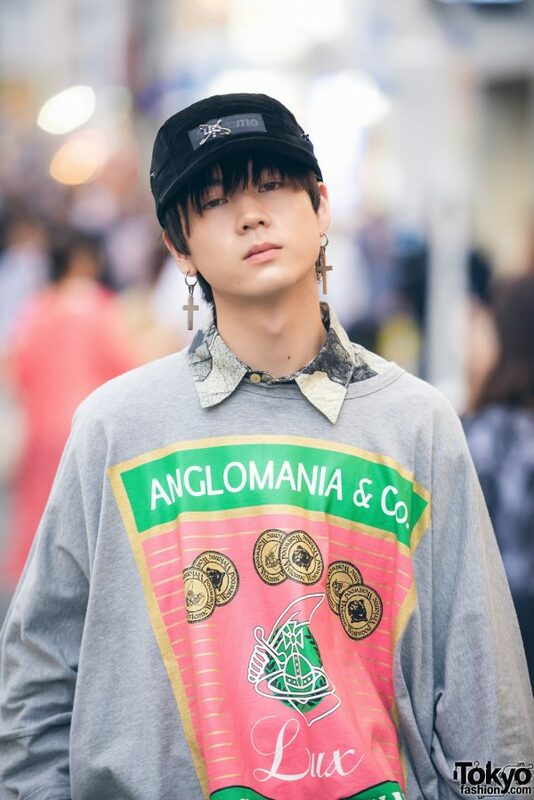 His accessories include a black cap from Supreme, silver cross earrings, a white belt from Ikumi, and an armor ring from Vivienne Westwood. 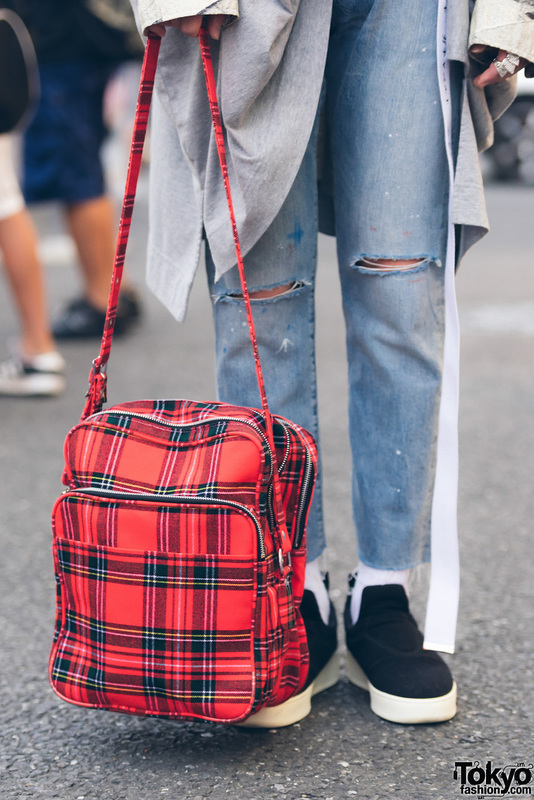 Vivienne Westwood is Ryosuke’s favorite brand and he listens to the music of Judy and Mary. Ryosuke is active on Twitter and Instagram, follow him!